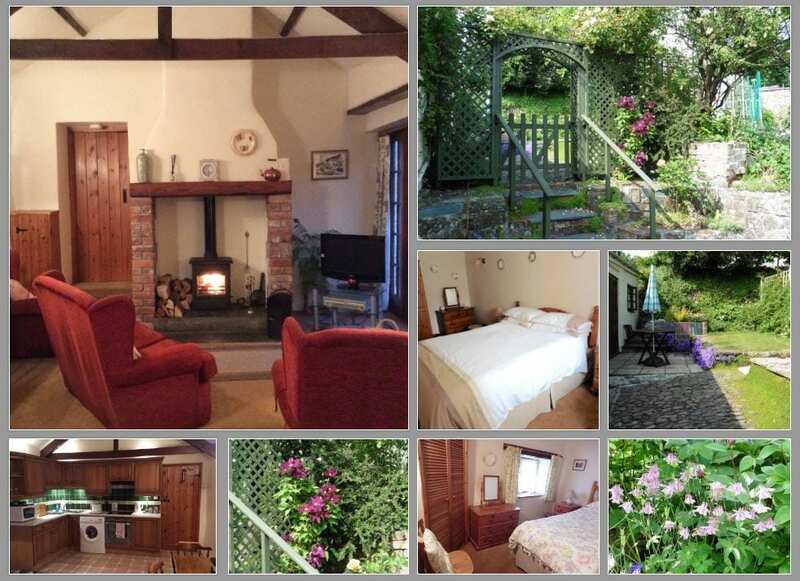 Little Sanctuary Cottage is ideal for a peaceful, relaxing holiday (for 1-3 people and a dog) in a quiet location, without isolation, in the ancient village of Stratton, near Bude, on the North Cornish coast. 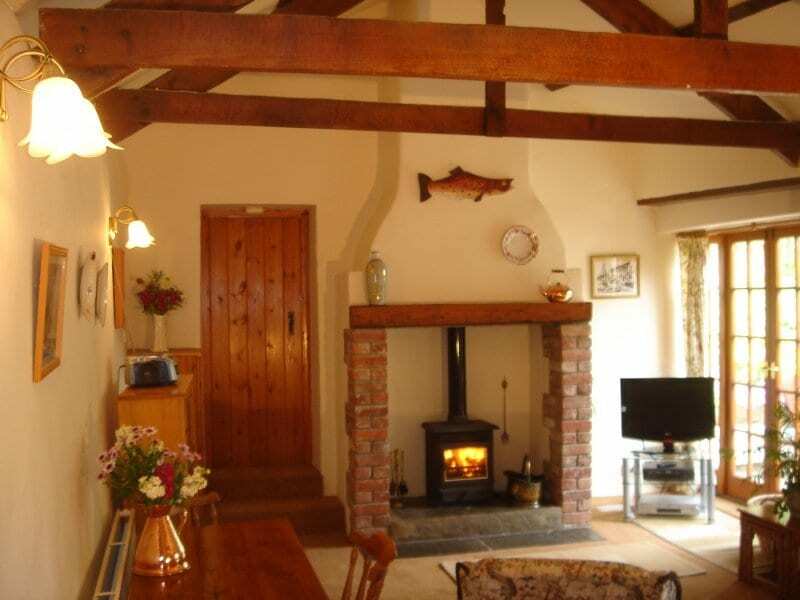 Beautiful, single storey barn conversion – sleeps up to 3. Nestles to the rear of Old Sanctuary and was once the stable block and tack room of our home. It is now a beautiful barn conversion retaining the character of its origin with beamed ceilings and cobbled entrance. Full gas central heating. Lounge/Diner: colour television and video, radio/cassette player, wood burning/coal stove. Kitchen: washer/dryer, electric oven and hob, microwave oven, fridge, iron, ironing board, kettle and toaster. Bedroom: double bed, pine wardrobe, pine chest and bedside cabinets. Second Bedroom: single bed, fitted wardrobe, pine chest and bedside cabinets. Bathroom: WC, wash basin, bath with shower over and shaver point. 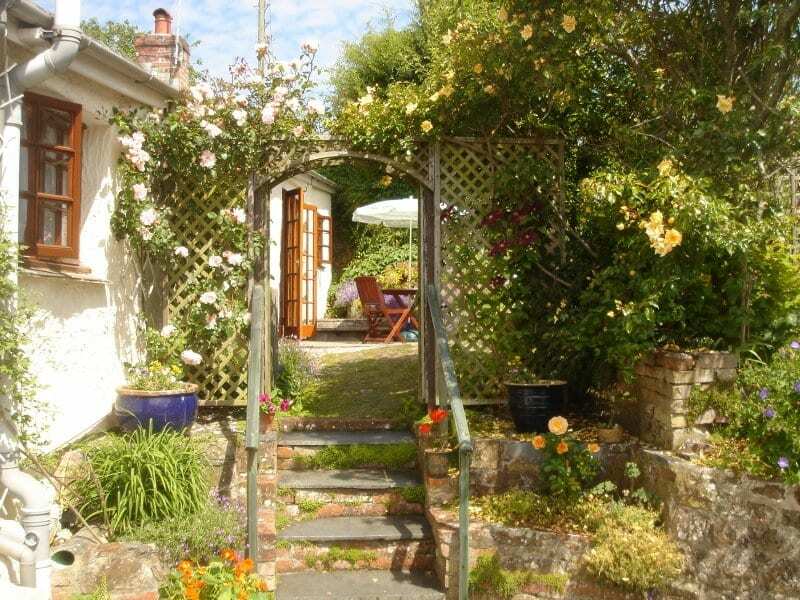 Outside: Patio & small garden area with washing line, garden furniture and barbecue. Off street parking for one vehicle. The beautiful, single storey cottage was once a stable block and tack room. The conversion retains all its charm and character with beamed ceilings and cobbled entrance. In addition to full gas central heating, Little Sanctuary has a log fire, making it not only a special place to take a holiday through the summer months, but also a cosy retreat during winter. Stratton was once a thriving and important market town with shops, inns, Magistrate’s Court etc., for centuries serving the needs of the local farming community. At the beginning of the nineteenth century a canal was built and the port of Bude grew by the sea, in what had been a rather remote part of Stratton parish. A hundred years ago the railway by-passed Stratton, and Bude developed as a seaside resort. Today the canal is used only for recreational purposes, and the railway is gone, and Stratton is a charming village with narrow streets having names such as Cot Hill, Spicers Lane, Gibralter Square and Sanctuary Lane. Little Sanctuary is within a short walk of the beautiful church of St Andrews, Post Office and village shop . For a quiet drink, or meal, there is a choice of two fascinating historic inns, both of which are dog friendly. Within easy reach (2 miles) are sandy beaches where you can swim, or surf in the Atlantic Ocean. Bude has a seawater pool, and an indoor leisure pool. There are magnificent cliff walks with superb views! The wild flowers, and bird life are delightful! Locally you can fish, ride, or play golf, tennis or squash. There is much to explore by car, Clovelly, Boscastle, Tintagel and Port Isaac are all within easy reach. Included in the price are gas, electricity, bed linen (duvets) and tea towels, first basket of logs and bucket of coal.